These red legged arachnids are absolutely stunning. Our Fire leg tarantula is rather grumpy and likes to flick hairs so we only have him as a show specimen and don't handle him unless we want to get itchy! 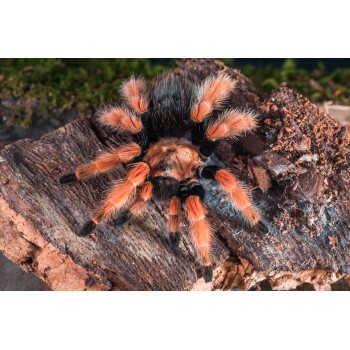 In general they are calm and a good beginners tarantula but just like people they all have their own temperament. Our is like Victor Meldrew (ask the grown ups kids).